I am passionate about missing persons cases due to a personal family experience of having someone go missing in my family. 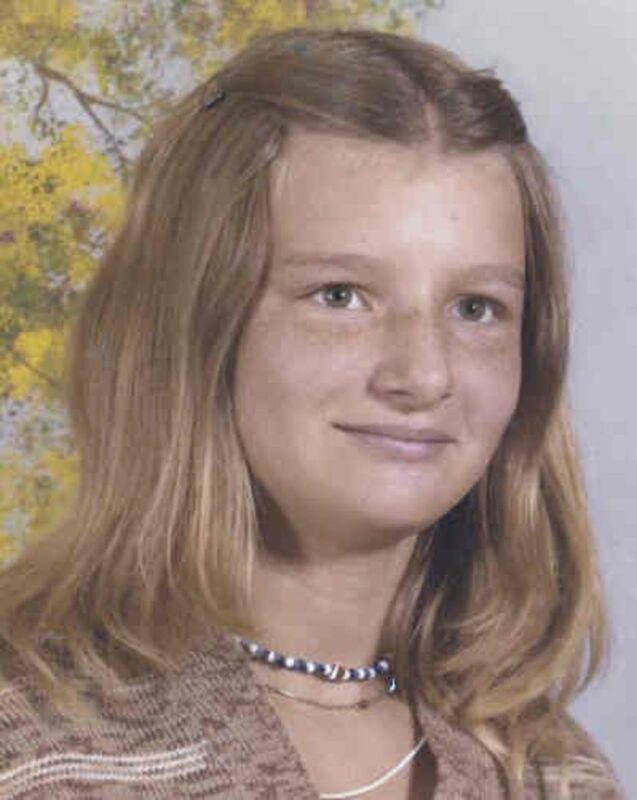 Sandra Kaye Butler was 16 years old when she went missing on June 26th, 1978. 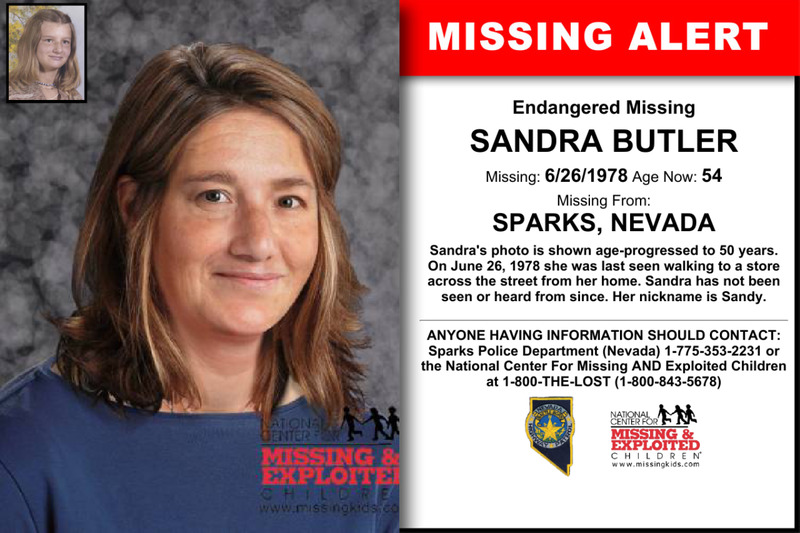 She went missing in Sparks, Nevada and is considered missing and endangered. She lived in California previously but moved to Nevada with her mother. She attended Reed High School and went missing during her summer vacation. Sandra was 5’0-5’1 and around 110 pounds. She is a Caucasian female with light brown hair and brown eyes. She was also known by the nickname ‘Sandy.’ She would be 57 years old as of 2019. On June 26th, 1978, Sandra called her mother at work asking for permission to walk to the Reno Rodeo. Reports say she walked to the Greenbrae shopping center across the street from her apartment on her way to the rodeo. Her mother told her she could go and Sandra was never seen again. Authorities considered her a runaway and did little to find her at first. Those that knew Sandra personally claim that wasn't a possibility since she wasn't the type of girl to just run away. Because of this, her case didn't receive a lot of media attention or any attention at all besides family and friends. Eventually, Sandra’s case was updated to a missing persons. Her case was passed down through many officers, mostly new detectives in the Sparks Police Department’s detective division. 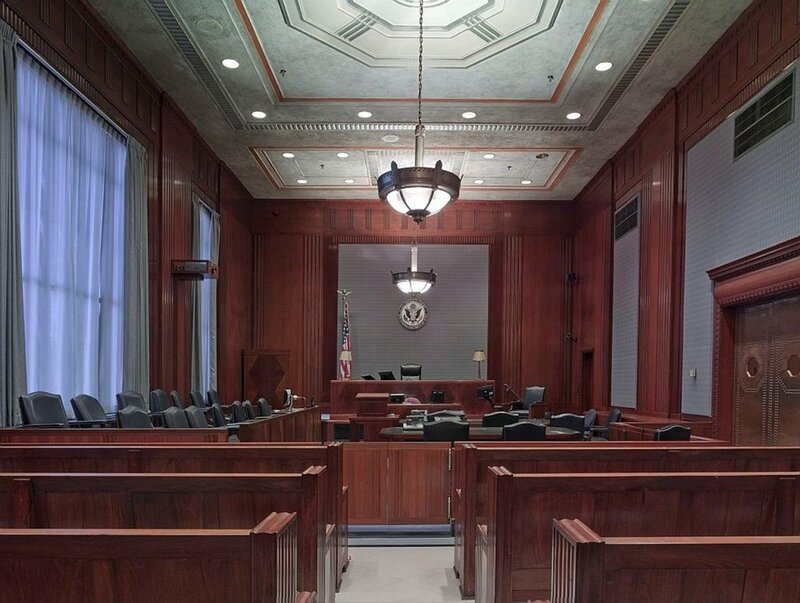 In 2007, her case was handed to Ken Gallop and he took an interest in her case. Having two daughters of his own, this case struck him. He couldn't imagine losing one of his own children and never knowing what happened to them. Gallop was able to update the information of the case by putting the families DNA into the system and updating her dental records. The main theory that is strongly believed by many is that the serial killers Gerald Gallego and his wife Charlene may have taken Sandra as a victim. This murderous couple have been known to prowl the area Sandra went missing around that same time. The couple had just kidnapped two young girls from the Sparks fairgrounds on June 24th, 1979, a year after Sandra went missing. Gallego had been convicted of the kidnapping and murder of two other young girls, 14-year-old Brenda Judd and 13-year-old Sandra Colley. These two girls were in the Nevada area as this couple killed several other girls and women. Gallego was awaiting execution but died of rectal cancer in 2002. His wife Charlene had testified against him in exchange for a reduced sentence. She was released from a Nevada prison in 1997 and is now living in California under a new name. Another possible theory is that Sandra could be a Jane Doe from Fort Lauderdale, Florida. This Jane Doe is also known as "Donna" as she could have been using this name but it is not known if this was her actual name or a fake name. Jane Doe was found after being hit by a tractor trailer on I-95 close to the Fort Lauderdale airport. This happened on August 3rd, 1982, and investigators believe she was hitchhiking. Jane Doe had several business cards on her. When authorities called the numbers on the card, they found that this woman could have had a thick Cajun accent or a Southern accent. They also think she had a sister or a friend in Las Vegas, Nevada and was said to be a runaway. 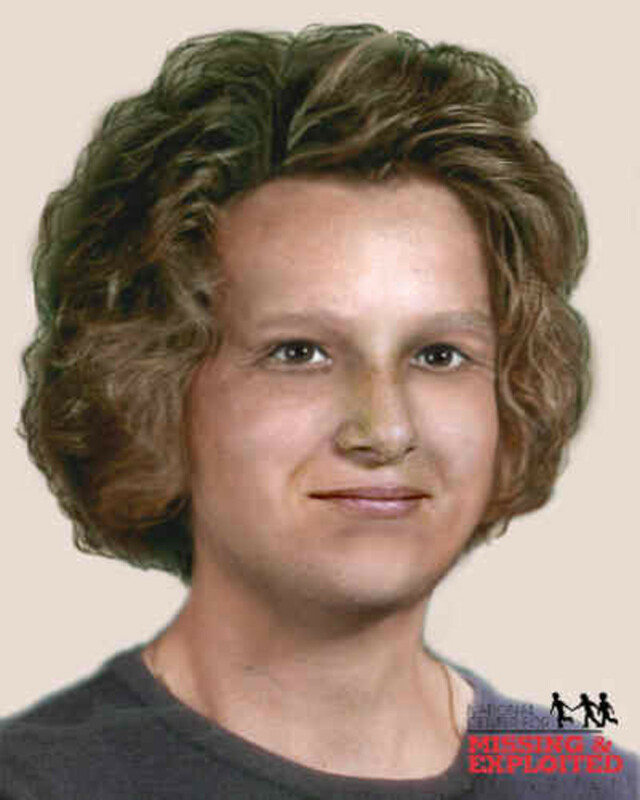 Saundra would have been 20 years old in 1982 while Jane Doe was estimated to be between 12-25 years old. 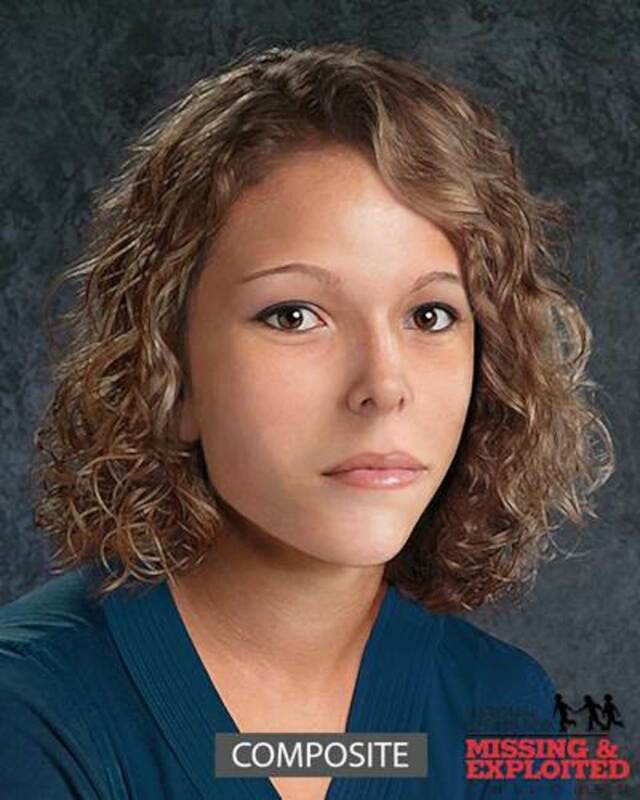 Doe weighed 110 pounds, was 5’2 inches tall, and had light brown hair and eyes, all similar to Saundra. However, there were no identifying scars or tattoos on Doe to help identify her. Sandra was just 16 and could have been taken off the streets by anybody. This was in daylight on a summer day and nobody seems to have seen anything or cared. Her family, friends, and the police department are still hopeful in solving her case! Please, if you know anything about Sandra Butler, contact one of these numbers below.